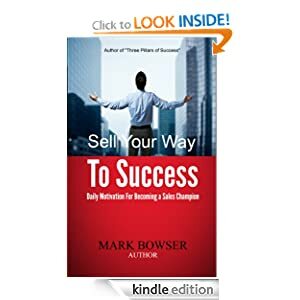 Sales Success – We All Sell! We are all salespeople. We sell our kids to not get on drugs. We sell our co-workers on where to go eat lunch. We sell our spouses on the movie to see this Friday night. We sell products and services if your job title is sales representative. We sell by the brand clothes we wear. And, we sell ourselves. It is all about influence. 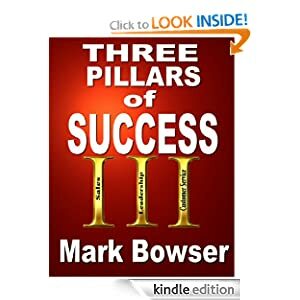 Learn how to master the art of influence with “Sales Success.” Written by Mark Bowser with Scott McKain, Tom Hopkins, and the late Zig Ziglar. Who are you impacting with your influence, integrity…your life? The day will be here before we know it. 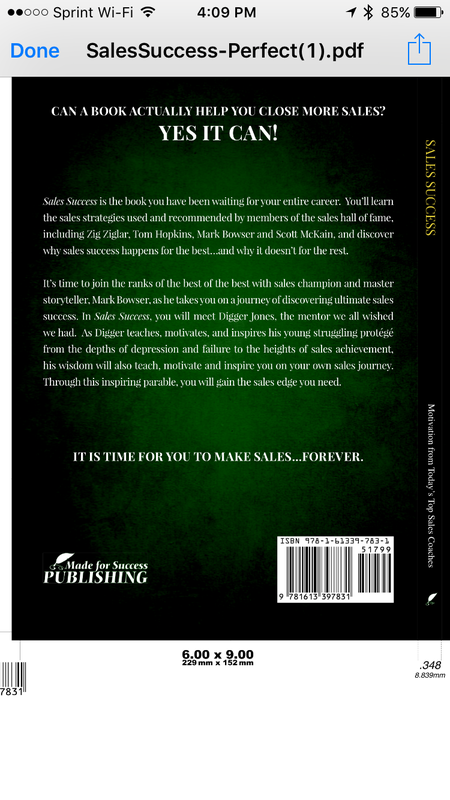 Mark your calendars for the launch date of one of the most exciting books on selling in years.“Sales Success” lands at a bookstore near you on May 1, 2016. Available online too. Everything is selling. Every morning when we arise, we put on the shoes of a salesperson. It doesn’t matter whether you are a mechanic, a household executive, a student, a nurse, a teacher, a coach, an engineer, a parent, a preacher, or even a funeral director – your job is to sell. 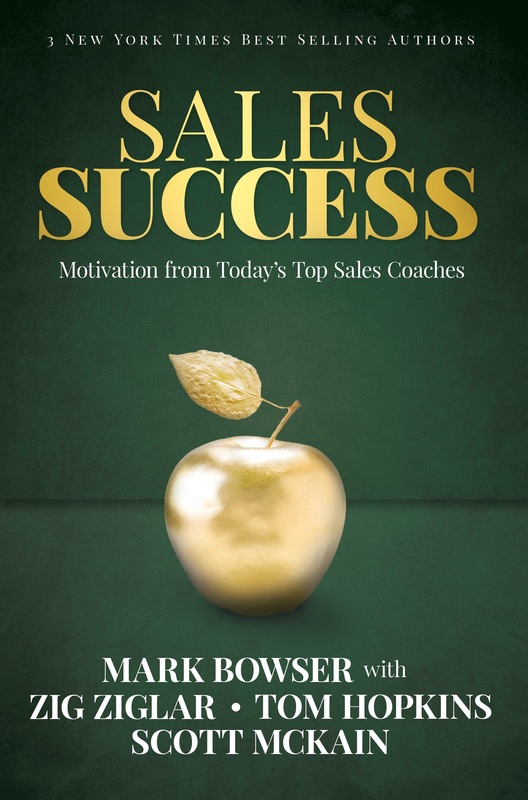 So, what does that actually mean “everything is selling?” Success is about influence. Walt Disney understood this more than anyone. Walt Disney became a tremendous salesman. Even to this day, his influence still lives strong. Some might even say that Walt’s influence is more alive today than when he was living. That is a tribute to how well he understood this concept that everything is selling. Think with me for a moment. How did you get your first date? How did you get your first job? You had to sell someone, didn’t you? You had to sell them on you. You see, the first thing we sell is our self. The second thing we sell is our idea. An important point to ponder as you pursue your life in the world of selling is that selling isn’t something you do to someone. As Zig Ziglar pointed out, selling is something you do for someone because you know that your product, service, or idea is in their best interest. That they are much better off acquiring what you have to offer than they are not acquiring it. …Something to think about today. Now, go out there and sell something! 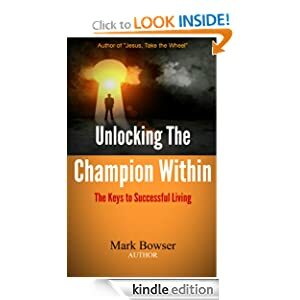 *To bring Mark to your organization with a powerful, motivational seminar then please contact info@MarkBowser.com. If I can be of service to you and your team through a training seminar or in any way, then don’t hesitate to ask. If you enjoyed this article, please share it with your network. Thanks. Every spring, major league baseball clubs meet in balmy climates to fine tune their skills for the upcoming season. Rookies and Veterans alike converge for this annual pilgrimage. Ponder this thought. If spring training is beneficial for professional baseball players, how about the professional in the world of selling? It is not too late to start your spring training. I had the honor of talking with veteran sales leader Dave Carlin. Dave has been leading new sales professionals since 1983. Dave holds the position of Vice President with Prograde. Prograde is a print, marketing, and fulfillment company for promotional products and apparel headquartered in Cincinnati. Dave puts his new representatives through several months of Prograde’s version of spring training. The new sales rep will spend time in various parts of the company before they will call on their first prospect. They will spend time in the warehouse learning how to smoothly and efficiently process an order for shipment. They will go from department to department learning why and how the company is successful day in and day out. The new sales rep will even spend time in e-commerce. Is this over kill? Is this really necessary? Many companies shove their sales people out the door with their sample kit and a list of customers to call on their first day. It is as if they are going to pick up sales success by stumbling all over customers through some warped type of osmosis. Well, let me tell you this fact and then you can decide for yourself whether Dave’s approach is the best philosophy. Let’s talk about when the economy totally stunk. Their team sales went up 19% in 2012. Remember…that success was in a bad economy. They succeeded despite the economy, not because of it. World Series, here comes Prograde. We know what is working for Dave and Prograde. Now, let’s talk about you. Do you have a plan to increase your sales in 2015 so that you succeed despite any economy? How much time are you and your sales team spending in spring training? Plan your spring training, work your plan, and expect to win…and I will see you in the World Series. 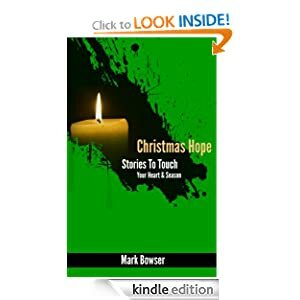 *Mark Bowser is an Author and Professional Speaker. 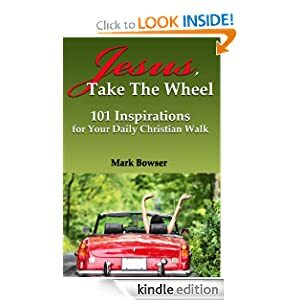 He can be reached on LinkedIn or through his website www.MarkBowser.com or email mbowser@markbowser.com.